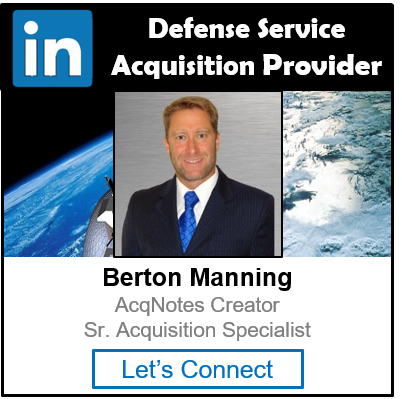 Defense Acquisition University (DAU): The Defense Acquisition University (DAU) provides acquisition training to members of the Department of Defense and Aerospace community. Their mission is to provide a learning environment to support the Defense Acquisition Workforce to develop, deliver, and sustain effective and affordable military capability. It does this by providing a full range of basic, intermediate, and advanced certification training, assignment-specific training, applied research, and continuous learning opportunities. They offer this from a classroom or online environment from 6 locations. National Security Space Institute (NSSI): Air Force Space Command created the National Security Space Institute (NSSI) in 2004 to provide tailored education and training to Air Force space professionals and the broader National Security Space community. In 2009, the NSSI transferred to The Air University and aligned under the Eaker Center for Professional Development, where it continues to offer world class professional continuing education to those in military space career fields. Since 2012, the NSSI has been housed in a purposefully constructed learning facility on Peterson AFB, The Moorman Space Education and Training Center (SETC), named after General (Ret) Thomas S. Moorman. General Services Administration (GSA): has some online training focused on their schedules which are all free. On-line courses include GSA acquisition vehicles, basic contracting for GSA/FAS schedules, marketing for the new small business and initiating partnering agreements. The GSA’s Center for Acquisition Excellence is where the courses are located. To take one of their courses you will need to register to obtain a login. Bi-weekly the GSA runs a webinar called “Federal Government Market Research Webinar: Who’s Buying What You’re Selling” which can be valuable for selecting which agencies to focus your marketing efforts.While taking training takes a lot of time it can be very beneficial.